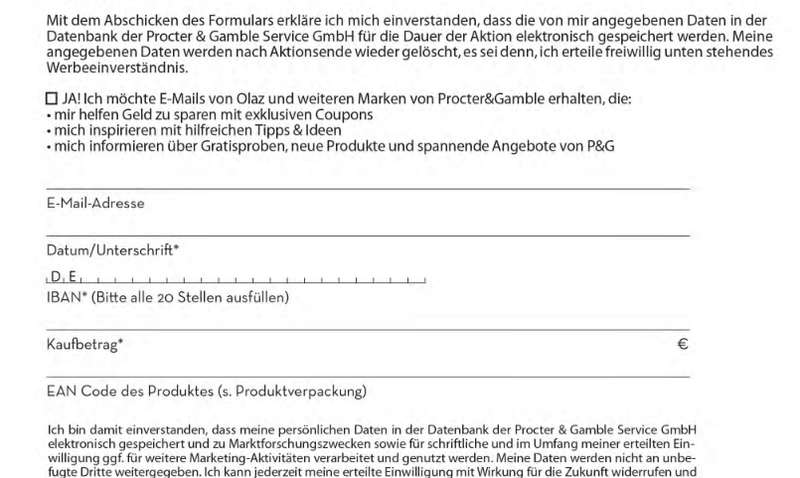 P&G has a little campaign for their Olaz product where you will get the price for your product refunded if you send them your sales slip along with a form. This form features a grid for your IBAN with DE already filled in for you. Have an IBAN from another country? No chance! Scrolling down further, their terms state, that a payment is only possible to residents in Germany with a bank account in Germany. This is not what the EU intended. I think these kinds of practices might even be illegal. There’s this EU Regulation 260/2012 which forbids it (see Article 9).